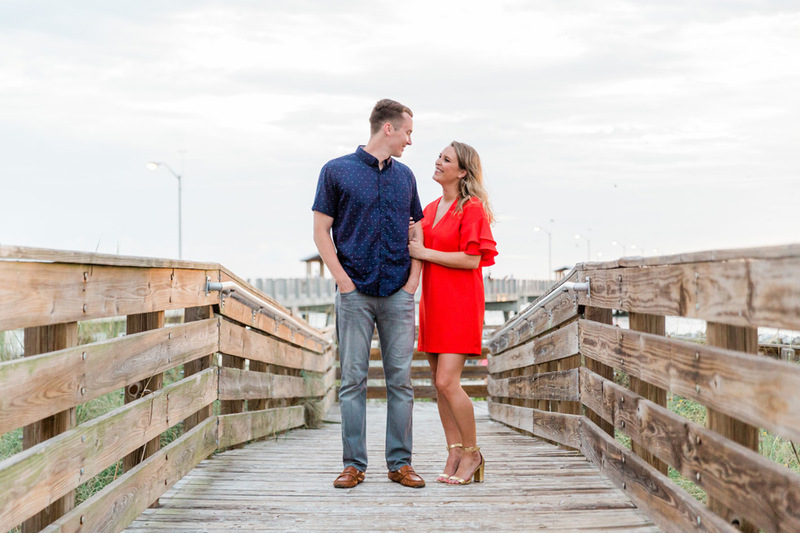 We had such a great time getting to know Kacey + Marshall during their recent engagement session with our Master Photographer Cornelia at Fort De Soto. This sweet couple is planning to get married next month at St. Martha’s Catholic Church in Sarasota, followed by a reception at the Powel Crosley Estate. We are loving all the amazing photos of them at Fort De Soto – they look so happy together, and they totally rocked this session! We love the way Kacey is looking up at Marshall in this photo! So romantic! 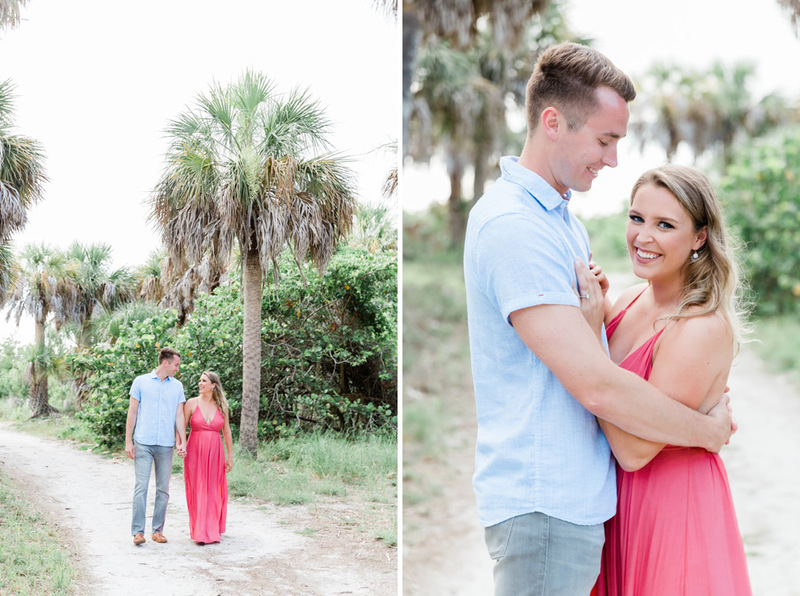 The weather was perfect at Fort De Soto for Kacey + Marshall’s session. We are loving how amazing Kacey’s dress looks blowing in the wind in these photos! So much joy and love between these two! We love it! We are loving this change of outfits that Kacey + Marshall chose, and we are totally impressed with Kacey’s ability to walk on the beach in those amazing gold heels! This image is amazing – it looks like it could be a movie poster! Congratulations on your engagement and upcoming wedding, Kacey + Marshall! We can’t wait to celebrate with you again in just a few weeks!